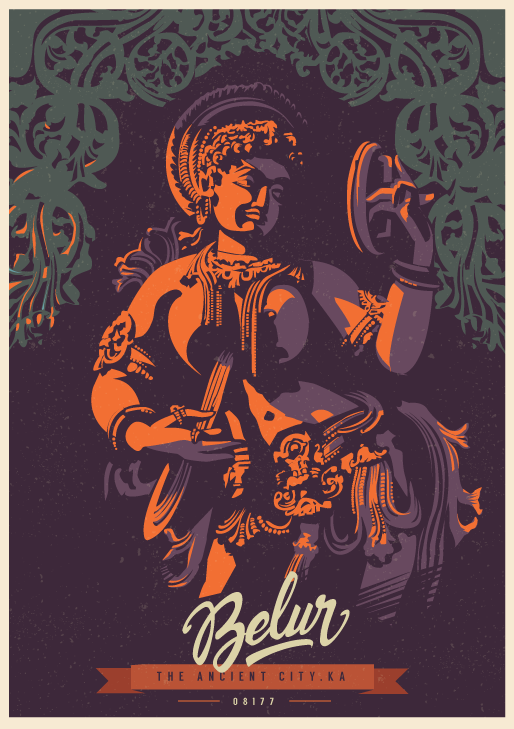 Have you been to India? 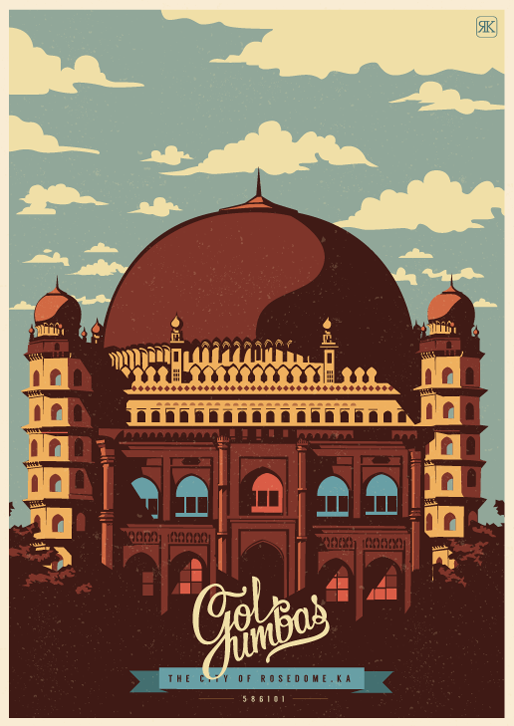 I’m sure you will love these postcards and posters of some of the amazing tourist attractions in Karntaka, India created by Ranganath Krishnamani. 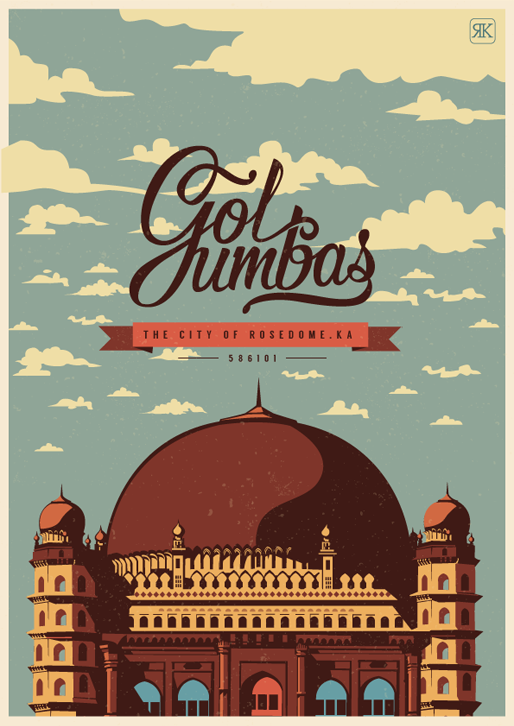 Ranganath Krishnamani is an illustrator and designer from Bangalore, India. 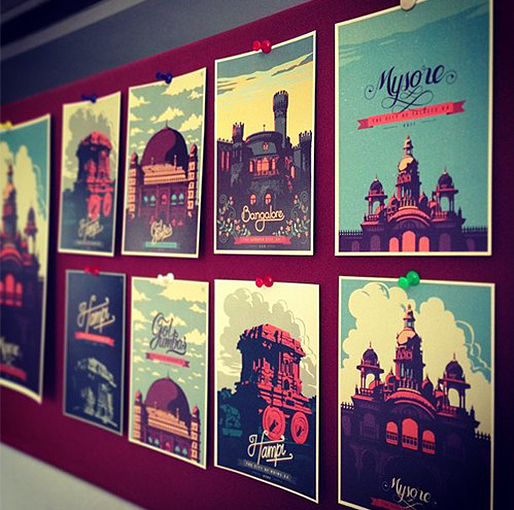 He specializes in Illustration, User Experience and Art Direction. 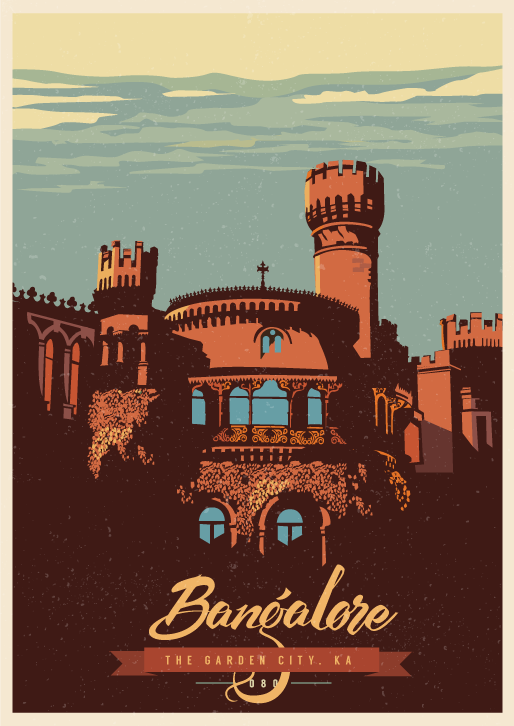 He draws inspiration from historic structures, street art and machinery. 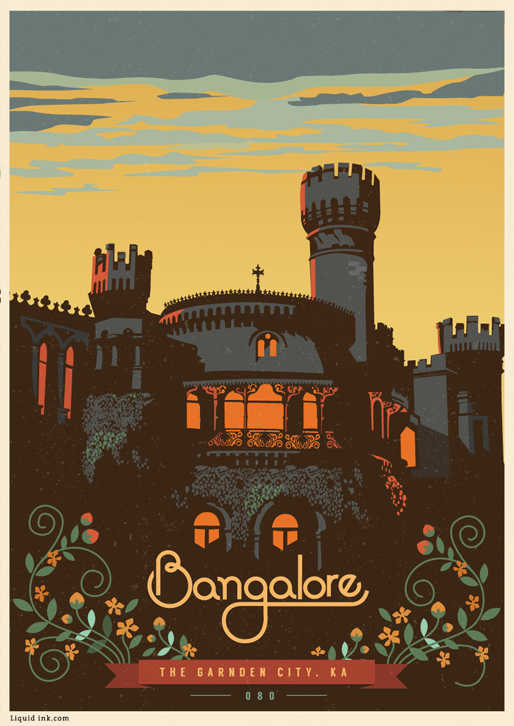 With his very commendable talent, Ranganath’s excellent artworks has won him an award last 2014 from Kyoorius Blue Elephant. When he is not designing, he loves travelling and exploring new trails on his bicycle or holding a ball point and doing pen sketching on his notebook. 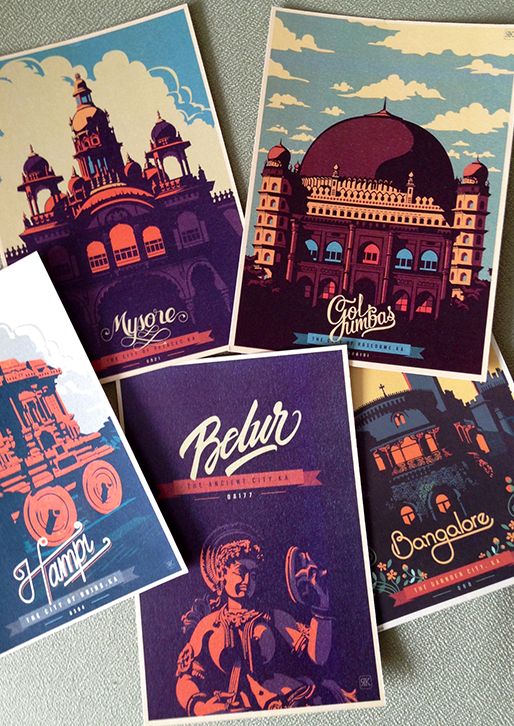 Here’s Ranganath’s Travel Postcards & Posters. 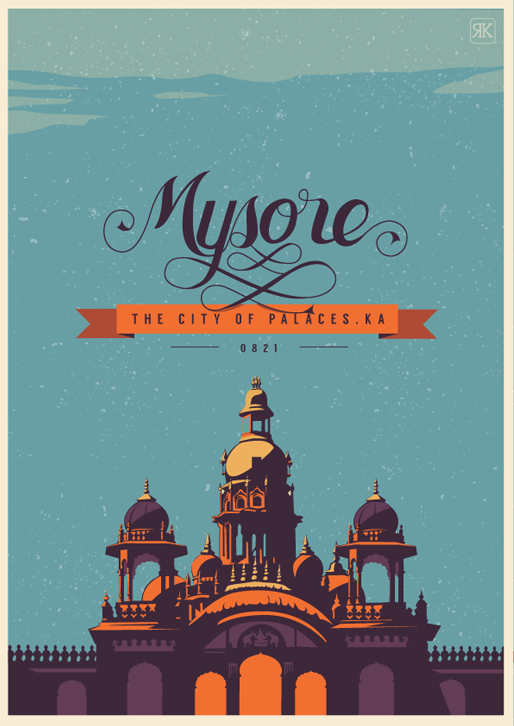 An Interpretation of the the heritage, culture and the popular destinations in Karntaka, India. 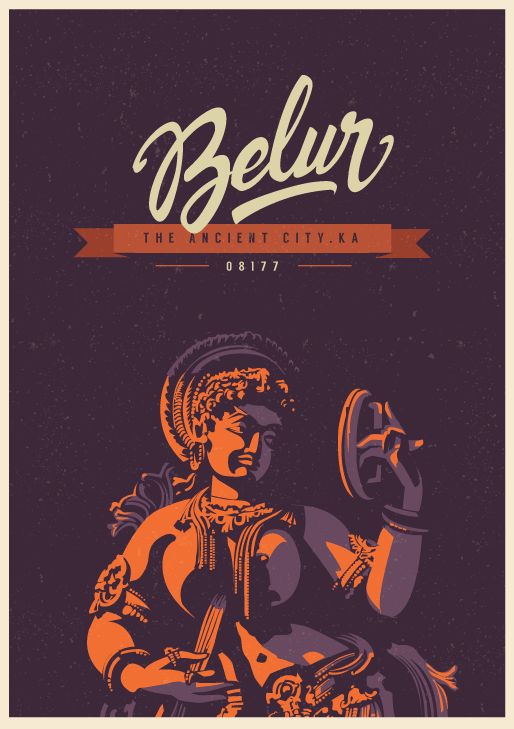 A collection of artworks that represent the glory and spirit of India. 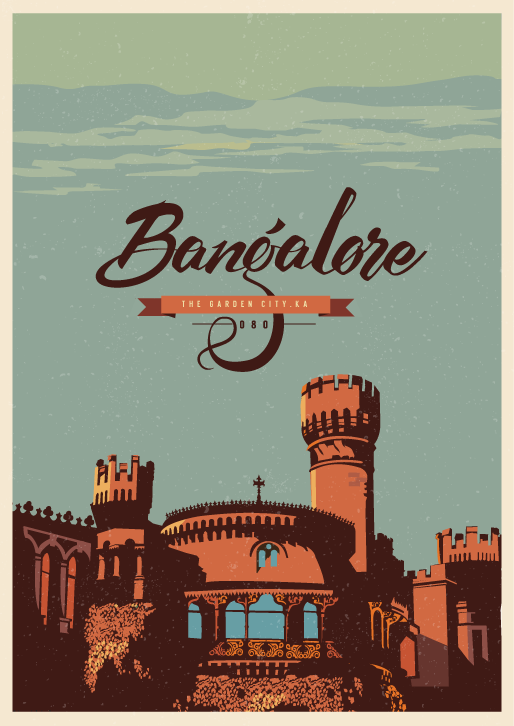 The Bangalore Palace is adorned by nature and vast graders (used to be called garden city) all around and it captures culture of bygone era . Belooru is a Town Municipal Council and taluka in Hassan district in the state of Karnataka, India. The town is renowned for its Chennakesava Temple, one of the finest examples of Hoysala workmanship. 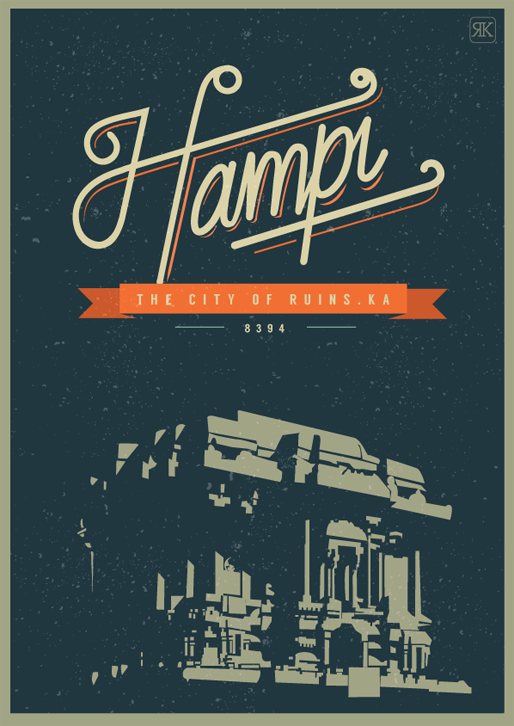 Hampi is situated on the banks of the Tungabhadra river. 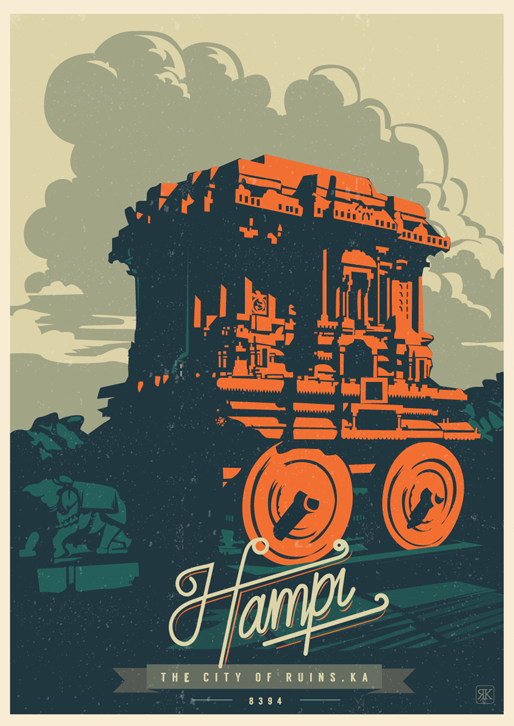 It is 353 km from Bangalore and 74 km.Hampi formed one of the core areas of the capital of the Vijayanagara Empire from 1336 to 1565. The ruins are a UNESCO World Heritage Site. 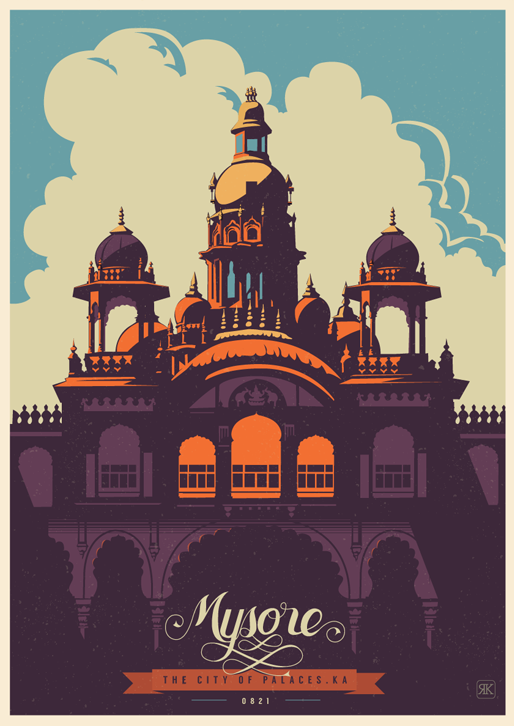 The crowning glory of Mysore, known as the City of Palaces, this is the official residence and seat of one of the surviving royal family of India – the Wodeyars.